A quality, classy shirt. Excellent material, and a solid fit. It came up under my search for “non iron” items. Definitely not non-iron. Response from Charles Tyrwhitt: I do apologise for this. While we have been unable to replicate the issue, I have raised your concerns with the Web Team so they can dig a little deeper. So as to help prevent any similar misunderstanding in the future, any shirt which is 'Egyptian cotton' can never be non-iron, as the cotton fibres are too soft and delicate. I hope that helps. Well made and decently priced. They look great with bottoms on cuffs and metal staves. A sharp, crisp looking shirt in package. Very nice shirt. Well made and great quality cotton. Tends to wrinkle easily but such is the case with 100% cotton. 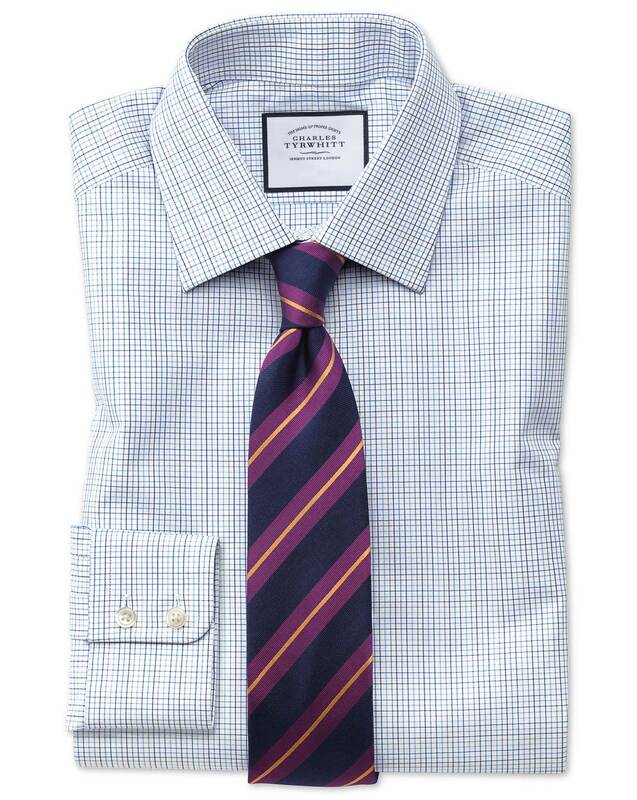 Response from Charles Tyrwhitt: Indeed our Egyptian Cotton shirts- while beautifully fine and soft- can tend to wrinkle a bit more easily, as we do not treat these with our Non-Iron process. We always recommend ironing these with steam and when damp to get rid of any stubborn creases. If this is not most suited to you however, you are welcome to exchange this within the 6 month returns time frame for a Non-Iron replacement.